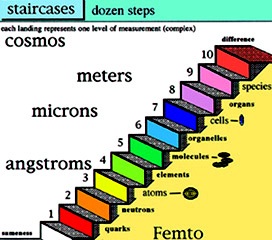 Atoms are not the smallest building block of matter. "We live in a daily marketplace of electrons, with trades measured in millionths of seconds." p. 27. Neil Shubin, The Universe Within: The Deep History of the Human Body, 2013. "All matter around us is made of elementary particles, the building blocks of matter. These particles occur in two basic types called quarks and leptons." "We are a very select mix of atoms. Bodies are mostly hydrogen: for every atom of cobalt, for example, there are almost 400 million of hydrogen. By weight, we contain such a large amount of oxygen and carbon that we are virtually unique in the known universe." In an historical sense atoms are a metaphor, since the term now refers to measurable, actual, and predictable entities that behave very unexpectedly, possess extraordinary power, and are the source of electromagnetism. 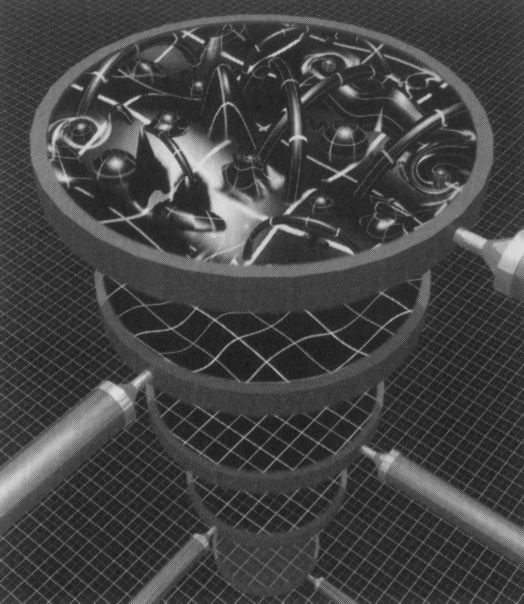 Atoms are comprised of smaller units called quarks that have spin, and manifest themselves as materials we variously called electrons, protons, neutrons and neutrinos with material energy. They are forms of energetic matter that defy our convenient ideas about matter, stars, planets and the ballistics of objects that are made of millions of mighty tiny atoms. Table of Atomic Elements are built up by Hydrogen's fusion into Helium, Carbon and eventually Iron (Fe). But atoms are a clue to the patterns existing on the periodic table of atomic elements. X rays reveal bone structure. All atoms emit energy. Three forms of radiation. 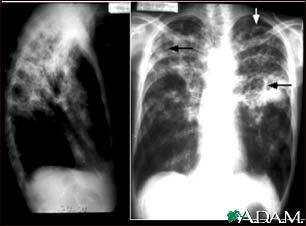 Radiation: the X-rays emitted by atoms pass right through our flesh to reveal the structure of our bones. So what are the smallest building blocks of matter? Instead of the smallest units of matter, all atoms are composites of neutrons or protons and electrons. And today we understand nuclei possess three quarks within the protons and neutrons. But a century after that shattering discovery of electrons surrounding a tight, massive and central core, atoms appear to be mostly empty space! 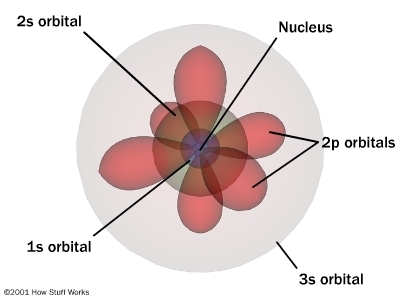 Hydrogen atom not to scale. But we are all their progeny." 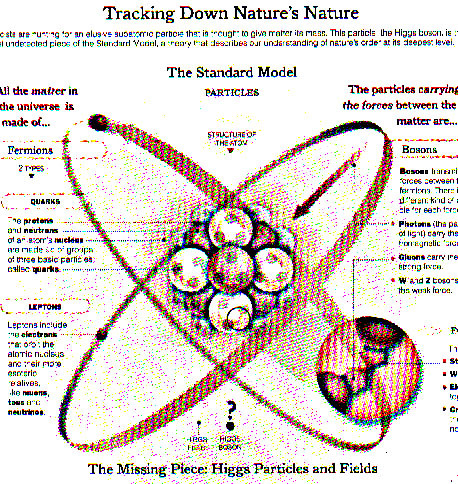 The New York Times ran this sketch of what is believed about atoms after a century of experimental research. 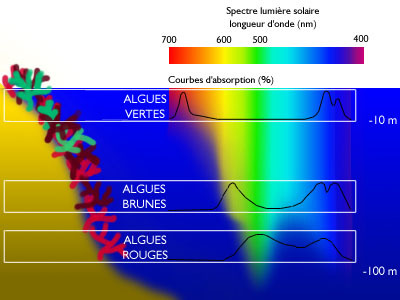 The emission of radiant energy from an atomic nuclei due to the behavior of electrons emitting and absorbing radiation account for the electromagnetic spectrum. 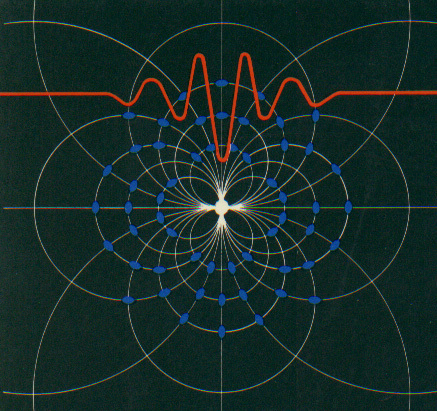 The Bohr depiction of an atom and its fluctuating quantum states. Weird behavior at the quantum levels of matter and energy are not like the behavior of macrocosmic particles, electricity, or planets. 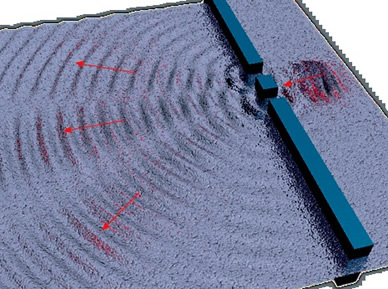 In the double slit experiment, atoms behave like waves and particles, confounding the scientific observer. Neutrons are the origins of all atoms and are found in atomic nuclei of isotopes of hydrogen and most other elements. 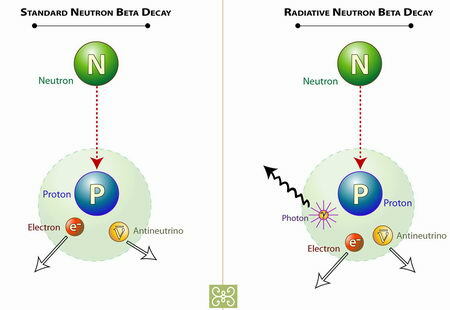 These neutrons can over time transform into a proton and an electron giving rise to radiation and hydrogen (H) nuclei. Atoms are important because they are both sources of enormous energy and a mortar of sorts that unify matter, as opposed to the smallest blocks that comprise the material, or physical world. Approximately every 13 minutes an neutron , not bound in an atomic nuclei, decays into a proton. The weak force that enables atoms to decay or disintegrate. The atomic layer gives way to the sub-atomic structural layer. If a neutron and proton in a nucleus (of say heavy hydrogen) were the size of a medicine ball suspended above the ground, the nearly weightless electron cloud encircling the dense nucleus would be two to three miles away! Electrons are negatively charged, sub atomic particles that were perceived to "orbit" a positively charged atomic nuclei until a more precise view emerged in the 1930s. 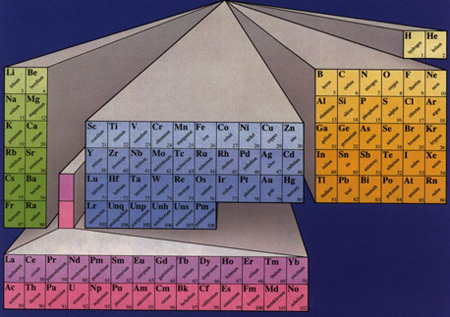 Even the hardest rock, or steel is composed of elements whose identical atoms are mostly empty space with an incredible electrical charge that accounts for how we perceive the surface of other materials. Long considered hard little billiard balls at the core of every material thing, atoms are instead made up of a more fundamental set of material. This fundamental set of material, was named by Murray Gell Mann in the 1960s. He called "quarks" the building blocks of sub atomic particles. The nucleus of the atoms was–according to his theory and later experimental findings– made up of even smaller related sub atomic particles that give rise to the more stable neutrons, protons and electrons that physical chemists understood as creating compounds based on the electron structure. The quarks come in three pairs, so that there are six different quarks: Up, Down, Top, Bottom, Strange and Charmed. Quarks are what give the mass to atomic nuclei, and the capacity of nuclei to lose neutrons and gain protons, thereby changing from one kind of atom into a more massive sister atomic element. Michio Kaku, Einstein's Cosmos. New York: W. W. Norton, 2004. Christopher Potter. You Are Here: A Portable History of the Universe. New York: Harper Collins, 2009. Stephen Hawking, The Universe in a Nutshell. New York: Random House (Bantam), 2001. Jim Al-Khalili. Quantum: A Guide for the Perplexed. (London: Weidenfield & Nicolson, 2003. Jim Al-Khalili - "Quantum Life: How Physics Can Revolutionise Biology," RI, Royal Institution lecture on Quantum Biology.